Simply the finest mobile chicken coop on the market. Period. The Front Yard Coop is the world's best chicken coop. It brings technological innovations and contemporary design to the homestead. We think it stands head and shoulders above the rest. There are cheaper coops out there, but none that come close for ease of use, aesthetic beauty and chicken safety. The FYC Chicken Tractor is professionally designed and constructed to last a lifetime. It isn't just about the chickens, or the eggs. It's about what it does for your life. You park a chicken coop in your yard, add a few hens, and before you know it things are different. You realize it's more fun to go outside now. There are creatures with personalities eating your grass and your bugs, making you smile and giving you a steady supply of the best eggs you've ever tasted! 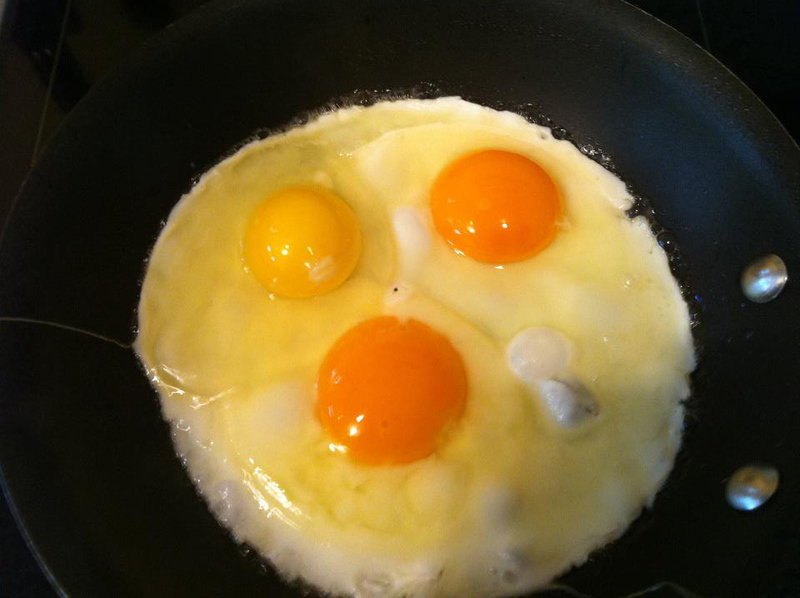 Can you guess which is the store bought egg?